This car came to us with just a couple thousand miles on it and was looking for a complete protection package as well as debadging the rear of the vehicle. 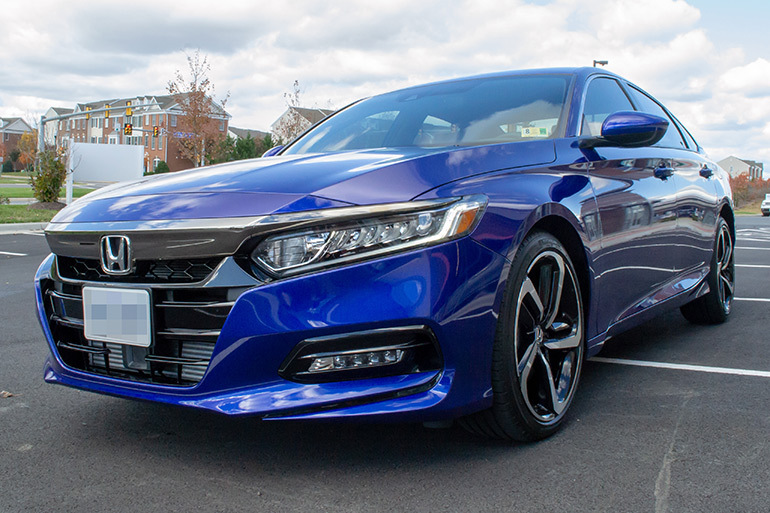 The owner wanted to properly protect the new Accord with a paint coating for easy maintenance, protection, and a lot of gloss in the paint. While we were inspecting the vehicle, we discovered some factory sanding marks, small scratches and some damage from a tree during a storm. Removing these required some paint correction services. 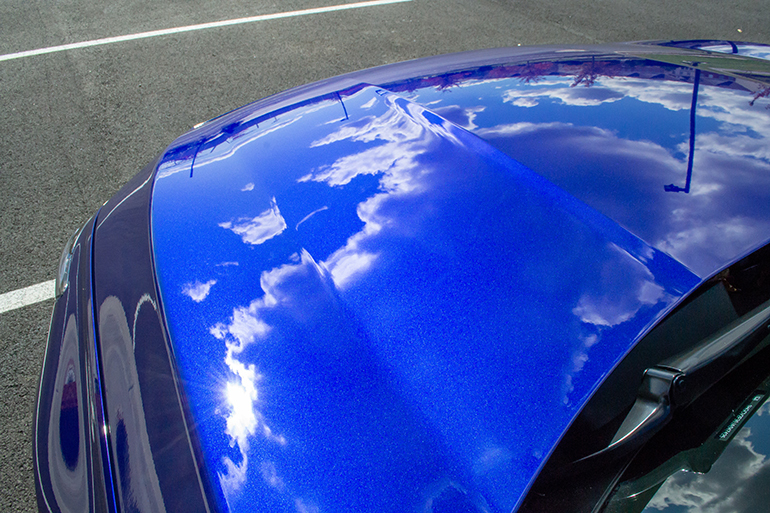 Even on newer vehicles, prior to applying any long-lasting coating, such as the Gyeon MOHS Q2 we were using, you want the paint in the best condition possible for maximum results. 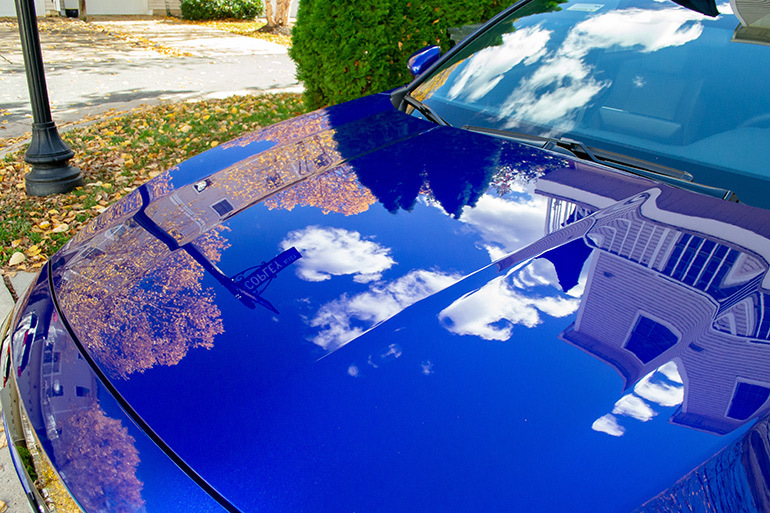 Our paint correction services were able to remove a majority of the swirls and scratches created during those few thousand miles. The results were exactly what the customer was looking for. Tons of gloss and reflection with superb clarity in the paint. The metallic flake just shimmered in the light, it was actually difficult to photograph. 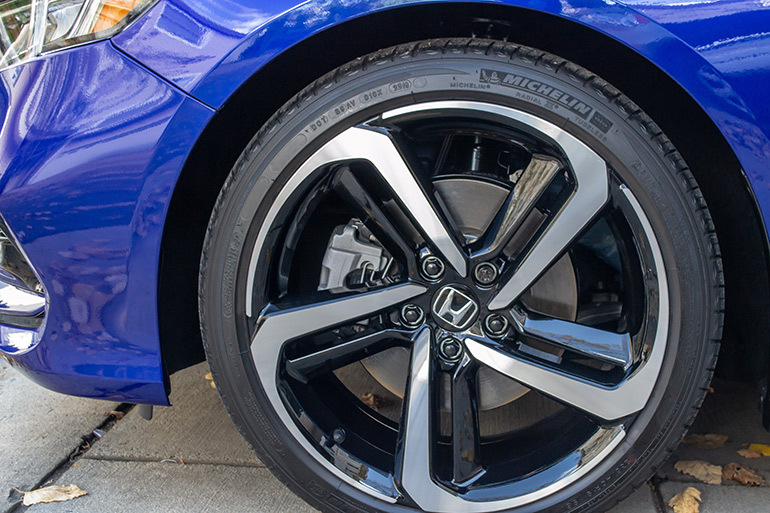 Not only did the paint come out looking better than new, the trim and wheels did as well. 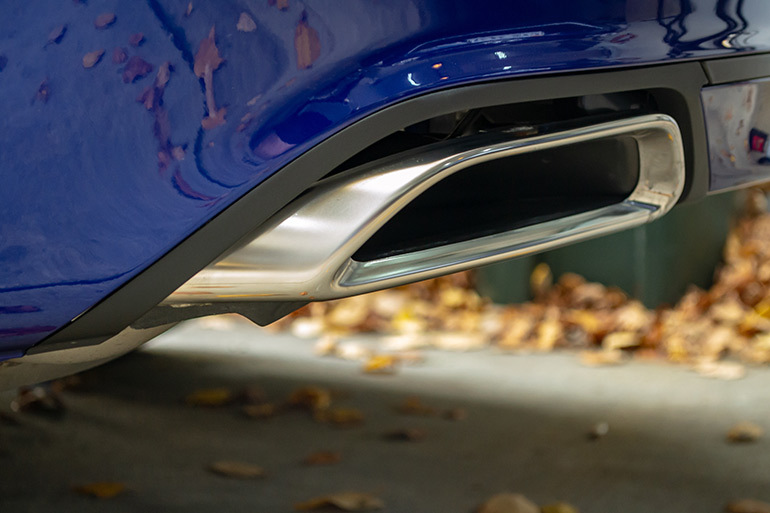 The customer wanted the entire vehicle coated, so we applied Gyeon coatings to the trim, pieces, exhaust tips and the wheels. This will not only protect these areas, but make them super easy to maintain for approximately 2 years. Thanks for viewing our work. 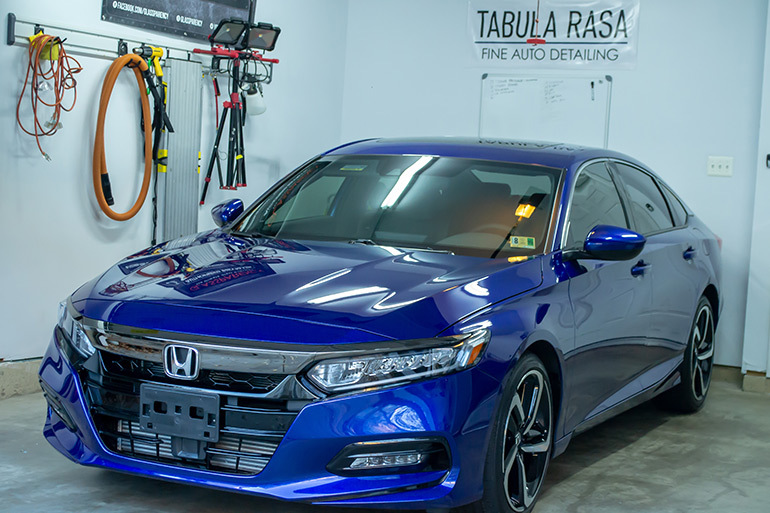 This was another satisfied customer at Tabula Rasa Fine Auto Detailing! If you have any questions or would like to book an appointment, please contact us using the information below. We look forward to speaking with you and working on you car.